A contested divorce in Louisiana refers to a divorce where there are lingering issues that the couple is not able to agree on for whatever reason. This includes matters such as: child custody, spousal support, community property partition and other ancillary matters. A contested divorce usually requires the parties to present their case in court in front of a judge. She will then make a determination on the issues. This can take a great deal of time and money and lawyers on both sides will fight for their clients. Uncontested divorces are usually between parties without children and community property who just want a clean split. They usually agree to all issues and just want to file the paperwork and begin the process. An uncontested divorce in Louisiana is far less expensive than a contested divorce because there is no court battle and often only one attorney is hired to prepare the divorce petition. Couples with children and community property can still do an uncontested divorce granted they agree to the terms. Divorcing couples can agree outside of court on custody and property partitions. It's best to have the terms in writing and presented to the court for a record. This can protect the parties should an issue occur. Remember, if you make a custody agreement outside of court and your situation changes, you can still bring the other party into court and have the judge make a custody determination. What to Expect with an Uncontested Divorce in Louisiana? An uncontested divorce in Louisiana has similarities with a contested divorce. A couple without children will have to live separate and apart for 180 days in a no-fault divorce action in order to obtain a Judgment of Divorce. A couple with children will have to live separate and apart for 365 days in a no-fault divorce action in order to obtain a Judgment of Divorce. The time period for living separate and apart is the same for both types of actions, but there will be no need for court appearances because the couple agrees to the terms of the divorce. What Can I Expect to Pay for an Uncontested Divorce? An uncontested divorce in Louisiana should cost significantly less than a contested divorce. Attorneys normally ask for a large retainer, usually thousands, when dealing with a contested divorce, especially one with child custody and property matters. They will place the retainer in their trust account and bill hours worked against that amount. If there are funds remaining when your case is complete, your attorney will send you a check for the amount. A contested divorce could consist of numerous court dates and pre-trials and could take the better part of a year to figure out all of the issues. Many times the parties have been divorced for some time, but still have to continue going to court even when the children get older. There are always matters that can come up and may require a hearing to determine. An uncontested divorce on the other hand, usually does not require a court hearing, so they should be priced much lower. It has become increasingly popular in Louisiana for attorneys to charge flat-rates on uncontested divorces instead of requiring a large retainer up front. You will be responsible for paying the flat-rate pricing for your divorce, plus court costs. Court costs differ by parishes, but normally run between $300-$400 and must be paid up front before filing the Petition for Divorce. However, if you are in a position of poverty and cannot afford to pay the court costs up front, speak with your attorney about other options. The attorney will file the Petition for Divorce for you and when the time period for living separate and apart has passed, they will obtain a Judgment of Divorce. The process is fairly simple with an attorney helping you with your uncontested divorce. 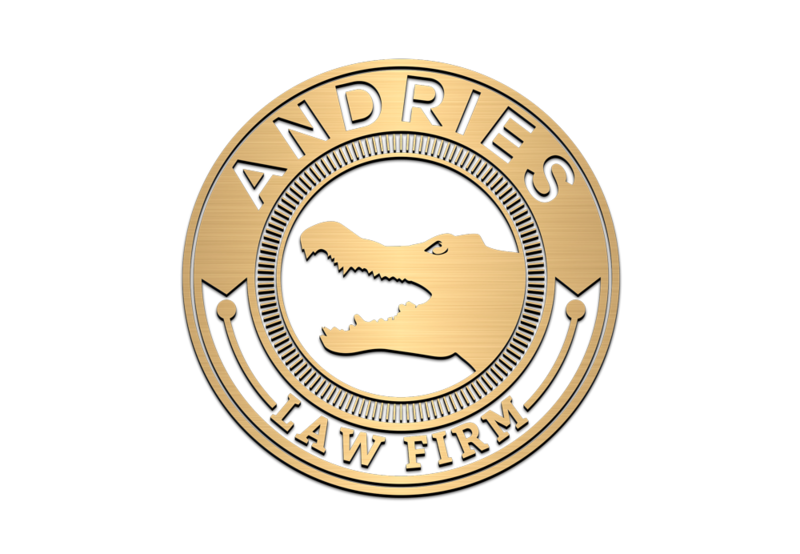 At the Andries Law Firm, we offer competitive flat-rate pricing on uncontested divorces in Louisiana. If you’ve been putting off getting a will drawn up, now’s a great time to get it done. The Andries Law Firm is offering a reduced price of $200 for a basic will until the end of January, 2018. If you don’t currently have a will, the State of Louisiana will provide one for you when you die. Remember, it may not be what you desire to happen to your property. Louisiana provides a set of laws that determines the placement of your property if you die without a will. It’s complicated and often property will end up in the hands of someone that you did NOT want to have possession. This is especially true of married couples who own a home together. Do you want to worry about whether or not your spouse gets to stay in the home when you die? If this concerns you, call us at 318-229-1608 or email Jerome@AndriesLawFirm.com today to discuss your needs.